Ideal for tech-savvy borrowers who prefer an online experience, Better.com provides a seamless and easy-to-navigate application process. Best of all: Better.com charges no origination fee. The Bottom Line: Better.com offers a complete online mortgage experience and a dedicated loan officer for each borrower. An online process with human help as needed. Loan officers aren't paid commissions; they are strictly available for "support, not sales." For higher-value homes, offers 10% down with no mortgage insurance on jumbo loans. Offers an "underwriter reviewed" preapproval letter in as little as 24 hours. Doesn't offer home equity loans or HELOCs. Doesn't do VA or USDA loans. Not available in all 50 states. Better.com is a digital mortgage lender — the new breed of home loan providers without a network of brick-and-mortar offices. The focus is on 24/7 service through technology and on-demand human assistance. Found at Better.com, the lender has been working to simplify mortgage loans since 2014. Here’s how Better.com stacks up among today’s high-tech mortgage lenders. Vishal Garg is the founder of Better.com, and like many before him was frustrated by the difficulty of getting a home loan. “I went through the mortgage process to buy an apartment, and it was a disaster; it took forever,” Garg says. “It took Citibank three weeks to get me a basic preapproval.” He launched Better.com in an effort to create a "fast, transparent digital mortgage experience." Better.com handles purchase and refinance loans, with a variety of products available — from loans with 3% down payments for first-time home buyers, to 10%-down jumbo loans with no mortgage insurance. The company says about one in three Better.com borrowers are first-time home buyers, and 72% of all Better.com home buyers put less than 20% down. 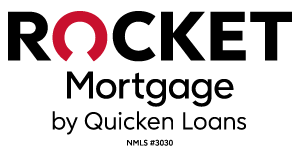 The lender says it will work with borrowers to find location- or income-based loan discounts and offers mortgage products to borrowers with out-of-the-ordinary situations: restricted stock income, Airbnb earnings, those who are self-employed or have student loan debt. The process begins online by clicking the “Get Started” button and selecting “Purchase” or “Refinance.” That brings up a page with various scenarios (such as “I’m thinking about buying,” “I found a property I love,” “I want better rates/terms” or “I’m taking cash out”), each indicating how long the information-gathering process is estimated to take. After what Better.com says is about a three-minute process, you can get a basic preapproval, telling you how much you can borrow or how much you might save with a refinance. Completing the full loan application is a “dynamic Q&A” process that adjusts with the information you provide, prompting you for additional information relevant to your situation. First, you’ll provide property information, your income and financial assets. Better.com takes a soft credit pull, which doesn’t affect your credit score. You’ll then be presented with mortgage options based on the information you provided. As the process continues, you’ll be connected with a dedicated loan officer for additional support. Once you’ve completed a list of tasks, you’ll receive an official Loan Estimate, and can lock in your interest rate. Better.com says it usually closes on a mortgage loan within three to six weeks following the rate lock. Better.com doesn’t charge any lender fees. That includes application, underwriting and origination fees. Garg also offers a mortgage price guarantee: "We will match or beat any competitor's rate by $1,000, or we'll pay you $1,000," he says.